Y’all will probably call me a pessimist but I am not convinced that Hollywood could make a good Black Panther film. 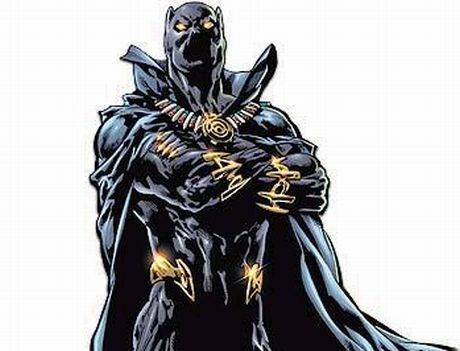 He’s black and almost totally political in a way that we just haven’t gotten into in comic book films. He’d be the kind of black character that I would argue we’ve never seen in film before on this scale – a completely self-determining Black man with power. Not saying I wouldn’t want to see it, but I just don’t think the film that the character deserves is the kind of film that would make Hollywood any money. Which means they won’t make it or (more likely) they will make it but they’ll destroy all that is great about the character. And if they do make it, we black folks will do the dance of “it’s not great but at least we got our own” like we do with everything*, and the whole ordeal will ensure that we’ll never get the Spawn movie we need. That said, y’all know I have the perfect actor for the part right? After the jump, kids.